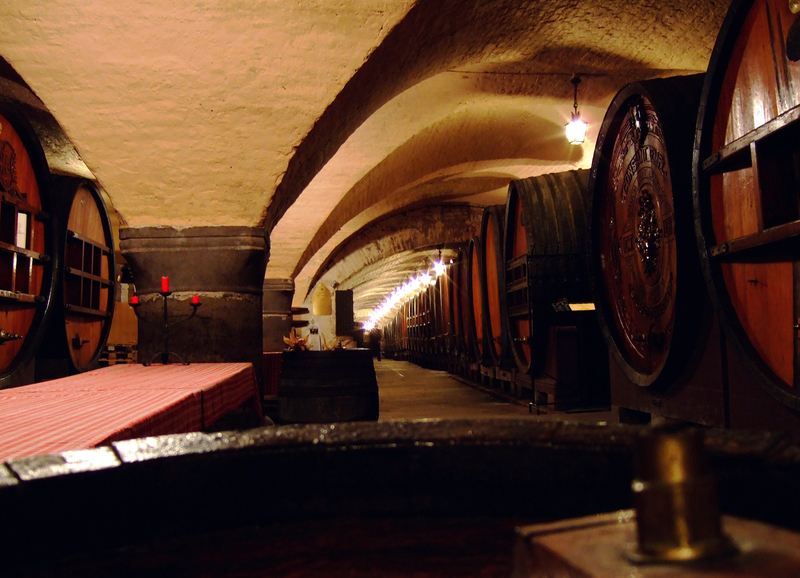 Since 1395, the year of its creation, the Historic Wine Cellar of Strasbourg Hospice participates in the food self-sufficiency of this charitable institution that is the hospital, allowing it to live in autarky. At that time, the religious offer shelter and board to pilgrims and poors, a lot more than care. By benefiting from donations and various legacies of people anxious to ensure the salvation of their soul, the Hospital increases its property assets. Hospital costs are often paid in kind, by a harvested portion or by the transfer of owners agricultural land. Thus, towards the end of the Middle Ages, the Hospital holds various interests in communes known for their wine-making activity. The Historic Cellar of the Strasbourg Hospices was used for the storage of wines, but also grain and other perishable goods. Despite the French Revolution, which led to the dispersion of Church properties around 1789, the Strasbourg University Hospital remained the largest landowner in Alsace, even though the vine is now only a tiny part of their property, to the point that the Hospital does not run it any more! From the 17th century, the hospital get medicalized. The sanitary aspect quickly became preponderant following the progress of medicine and surgery, and the quantities of wine distributed to patients (and to the staff) were gradually reduced. Over the years, the inflexible laws of the market and competition have seriously affected the accounts of the Historic Wine Cellar of the Strasbourg Hospices. In 1994, for lack of vines, an indispensable know-how and a suitable tool, the use of the cellars had ceased. Wooden barrels were rapidly degrading, starting to rot for the youngest of them, or drying up for the larger ones. 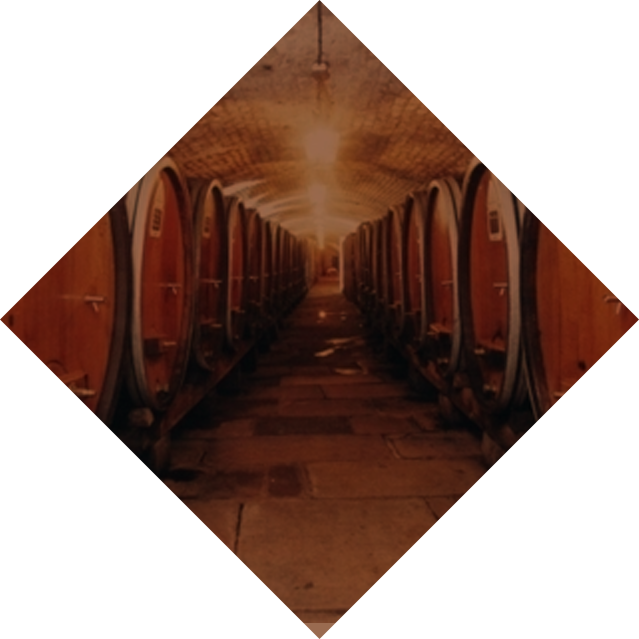 In 1995, lack of results and no prospect of development, the cellar was almost doomed to disappear. It is only thanks to the rigorous application of a new commercial and management policy that the cellar, thanks to a qualitative repositioning of its sale store and a revitalization by guided tours, managed to survive. For the 600th anniversary of the Historic Wine Cellar of Strasbourg Hospices, in 1996, thanks to the will of oenologists led by Pierre Sparr, their president, three barrrels were restored and used to elaborate, from must, a Pinot Blanc and a Gewurztraminer Mambourg (Sigolsheim) which were vinified, aged and bottled on site. Another filling of barrels, made from vintages vinified at the domain, made it possible to prove that the framework and the aromatic palette of these wines, fermented elsewhere and not on site, were significantly improved thanks to this aging in barrels. Then followed an important information work of the Alsatian winemakers, carried out under the aegis of the oenologists and the interprofessional. Nowadays, perpetuating six centuries of tradition, new Alsatian winemakers have restored the wineries of the Historic Wine Cellar of Strasbourg Hospices to raise a selection of Alsace wines, from their respective fields scattered throughout the vineyard. These wines, representative of their cepage, their terroir and their appellation, are the subject, for each vintage, of a blind tasting allowing to designate the most promising wines which will be raised in the barrels of the historical cellar. These exceptional wines are the fruit of the hard work of the winemakers and the living proof of their know-how. 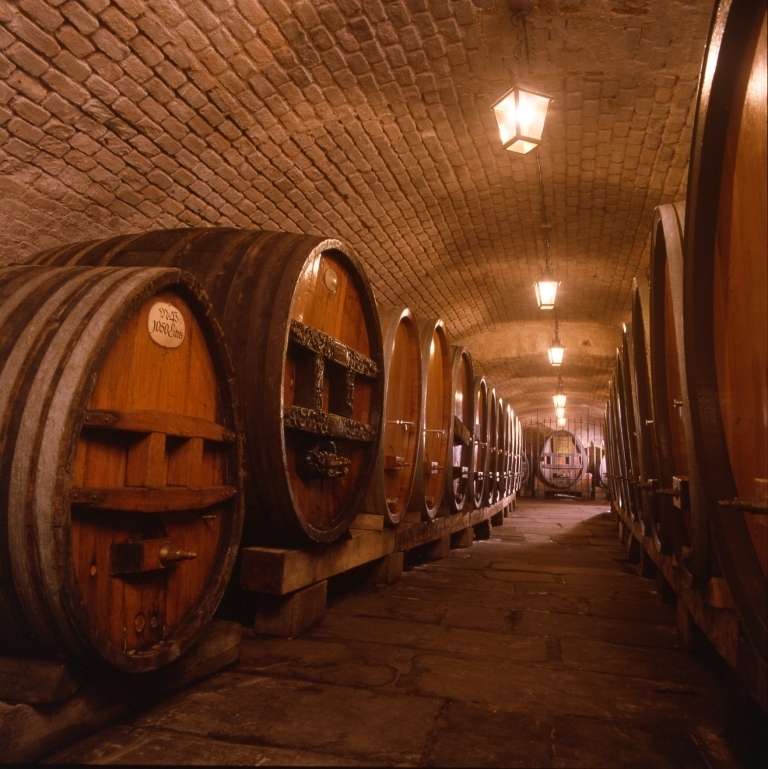 To ensure the maturation in barrels in the rules of the art, the wines are entrusted to an expert oenologist. This magnificent vaulted cellar of 1200 m² offers the ideal conditions to express fully the typicality and personality of these wines. After long months of attentive care and a last tasting, bottling is done in situ. The winemakers of the Historic Wine Cellar of Strasbourg Hospices, a true ambassador of Alsace wines in the heart of Europe, symbol of tradition, know-how, generosity and diversity, present you a selection of the best wines from Alsace. Under the age-old vault, the gallery of barrels is made up of more than fifty large wooden vats, and five historical casks dating from the XVI, XVIII and XIXth centuries, arranged on both sides of a central aisle . These oak pieces are used by our association of around thirty wineries, to age each year a selection of varietal wines (Muscat, Pinot Blanc, Sylvaner, Riesling, Pinot Gris, Klevener, Gewurztraminer or Pinot Noir), all of Alsace appellation or Alsace Grand Cru appellation. Coming from our Alsatian terroirs of the Piedmont of Vosges, from Rangen de Thann in the South up to the gentle slopes of Cleebourg, they are all aged in the strictest respect of a quality charter, including a double blind tasting. 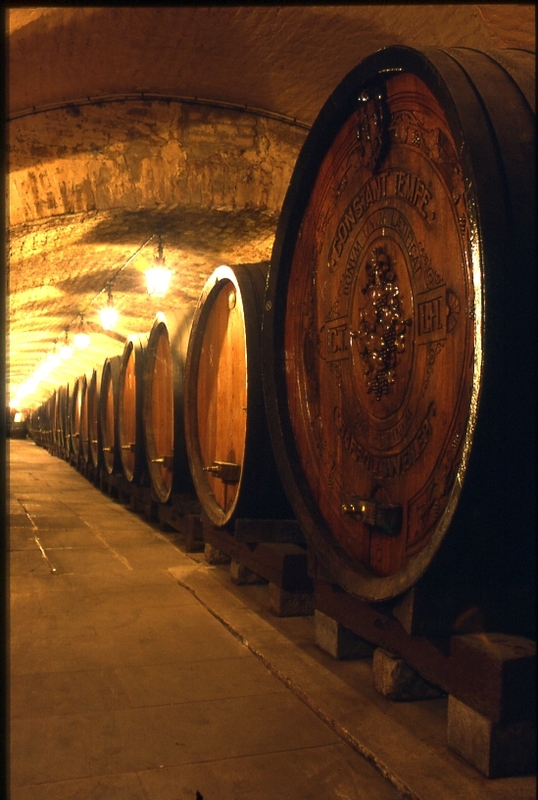 Shelded behind their gate, three historical barrels dating from 1472, 1519 and 1525 are still enthroned in the Historic Cellar. in 1718 for the reconstruction of the main building ravaged by a fire two years ago. Moreover, the instrumental analysis they performed proved that it is still wine!